The vast majority of people don’t want jury duty. As a lawyer, I’ve always hoped for the opportunity to serve and experience “our civic duty” firsthand. I’ve been called twice, but have not been selected. Still, hanging out with the throngs of “potentials” has verified for me that some people will say anything to try and get out of jury duty, but most people will just hunker down and go through the process. But, they might not be happy about it. Baltimore City lawsuits require Baltimore City jurors, and until recently, most people were called once every 18 months if not selected for a trial, and once every three years if they were selected for a trial. That is changing. Baltimore City residents are now being called every year. The source for our jurors is voting records and driving records. Baltimore Sun writer Michelle Alston correctly observes that many Baltimore City residents neither vote nor drive, so there should be another way to identify those residents. The number of non-drivers in the City is especially disproportionate, where many people rely on buses and light rail. She suggests using social security numbers. There are, in fact, any number of ways to do it. Most residents pay taxes–any resident who files a return should be subject to the rigors of jury duty. The reality is, though, that jurors who are called more frequently are not likely to be significantly more resentful. Those jurors who are extremely upset are going to be upset if called once a year or once every five years. Lawyers must address the problem at two points. The first is during voir dire, which is the time that judges and lawyers are allowed to ask the jurors questions to determine whether they can be fair. Strong feelings of resentment should be probed, and the lawyers should ask the judge to strike those jurors for cause, arguing that they cannot be fair, and they are wild cards–in particular, they are more likely to punish the plaintiff for filing the lawsuit and forcing them to be there. If the judge will not grant the strike for cause, lawyers should be prepared to exercise their peremptory strikes–each side gets a limited number of these, though, so it might not always work out. The second opportunity to deal with resentful jurors is during the trial. Lawyers should of course thank jurors for their attention and time. 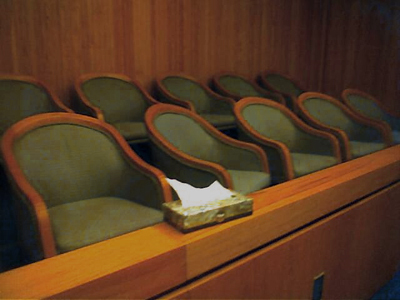 Many lawyers acknowledge the difficulties and inconveniences of jury service. Most importantly, the case needs to keep moving–delays are likely to cause resentment to bubble over, and if the jury believes that one side is causing those delays, the verdict may turn out differently than it should. Tagged: "Baltimore City trials", "jury pool" and "jury service"